Kindle Serials: I stumbled upon the Kindle Serials section on Amazon a few weeks back. Even though I’d been there before I’d some how forgotten about it. Looking at the competition, it seemed there was a real good chance to break out. After all, in the fantasy genre there were only a dozen titles to choose from. Checking this out made me remember a blog post I’d read earlier about Kindle Serialized Fiction on Lindsay Buroker’s site, and things started to click. Wattpad: About a week after I re-discovered Kindle Serials I discovered Wattpad. This is a cool site that will allow you to put up chapters for others to read for free. If you do it often enough, and your work is good enough, you might be able to build up a sizeable following. I also managed to read a pretty good blog post about this, which was also on Lindsay Buroker’s site. Goodreads: I’ve been actively taking part in goodreads.com discussions for several months now. I started to get a feeling that people were looking for a little bit more from the fantasy genre. I got the sense that people wanted darker fantasy, grittier fantasy, and fantasy with an attitude. I thought that was pretty interesting, so started formulating some ideas. 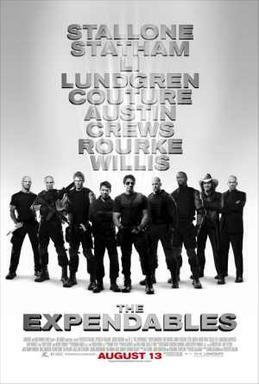 The Expendables: During my last month living in China I watched a lot of movies and drank a lot of beer. Hey, I wasn’t working that much, so it didn’t really matter. One movie that I downloaded was The Expendables. I’d never gotten around to it before, but I enjoyed it. And what’s more, it made me think that a team of mercenaries would be kind of cool in a fantasy novel. The result is The Hirelings, a different take on the fantasy novel. I may or may not put it on Wattpad, and I may or may not go the Kindle Serials route with it. Hell, I may just get a cheap cover (like the one I have) and throw it out on Amazon when it’s all finished. Who knows? Below is the first chapter. The moon was full and there were no shadows in the night. Smoke drifted lazily through the air. Dorn folded his arms across his chest and gripped his cigar between his teeth with a smile. Then he sucked the stub back behind his teeth, closed his mouth, and twirled the cigar about. By the time the right end was visible again the cigar was out. “Show off,” Beldar mumbled under his breath as he turned his attention ahead once again. A lithe female spellcaster walked up behind Dorn and hit him over the head with the flat of her hand. “You trying to get us all killed here or something?” she said in a voice tinged with both anger and amusement. “Beldar’ll do that easily enough,” Dorn snorted. “Why are you still even here?” the woman asked. Ziggy looked forlornly at Dorn but he only shrugged. “Listen to her,” Dorn said. “Boom’s pure muscle, and we’ll need him once we get inside,” Beldar said without taking his eyes from the mansion ahead. “Oh, they’re there all right, you just can’t see ‘em is all. They were on top of a small hill overlooking a country mansion. Trees stood all around except for a small wagon road leading in. “Where are they?” Glinny asked. “There’s no replacing Dorn and you know it,” Beldar said with a shake of his head. Beldar nodded and several moments of silence passed as they both stared down at the mansion again. “That much, really?” Glinny said with surprise. “Toes is already out there scouting the place,” Beldar answered, peering out as if he could somehow spot the elusive elven scout. “How can he scout around what he can’t see?” Glinny asked skeptically. Beldar’s reply was cut short by a faint whistle from Ziggy below. “Toes and Theo are comin’ up,” Ziggy called up as quietly as his deep barbarian voice would allow. He didn’t need to speak at all; Toes and Theo were already upon the two, though their approach had been so quiet and hidden that both Beldar and Glinny were taken by surprise. “They’re everywhere,” Toes said without preamble. He was a handsome looking elf with short, dark hair but several scars marring his still-youthful face. His dark cloak was wrapped tightly about him, enabling him to blend in with even the rocky backdrop of the hill. “He says they’re walking circuits back and forth in front of the place,” Theo said. The elven thief was smaller and uglier than Toes, if you could call an elf ugly. He purposefully kept his blond hair short and disdained elven attire and manner in general. “How often,” Beldar said, perking up at the bad news. “Every six minutes by my count,” Toes replied. “That’s enough time to sneak past ‘em, right?” Both excitement and anxiety tinged Beldar’s voice, but his eyes glimmered nonetheless. Glinny couldn’t figure out if it was the lust for battle, the perceived riches, or both. She studied Toes for a moment, noticing none of the same responses. At best he was withdrawn; at worst he wasn’t there at all. “And what’s beyond them?” she asked of Toes. “Keep it down fool!” Toes said behind him, not even raising his voice. Dorn finished his laugh, although it seemed a bit cut off. His smile also faded rather quickly. “How many do we have to fight?” he asked. “If we can time it and miss a patrol, just eight men. If a patrol spots us then we’ll have to go against twelve,” Toes replied. “And inside?” Theo asked, his earlier excitement for the job suddenly gone at the mention of fighting. “Could they be inside,” Dorn asked, serious for a change. “Let’s hope so, and not that there out there waiting to jump on us when we least expect it,” Glinny said. “He’s ready, and so am I!” Dorn said as loudly as he dared. “So how do we do it?” Glinny asked once again.